Welcome to the perfect notification product for monitoring pressure! Designed for monitoring industrial line pressure to notify personnel as soon as loss of line pressure begins to occur or an increase of pressure. 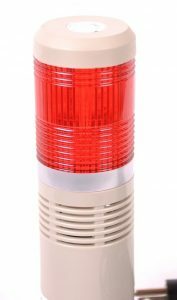 This simple external solution features a flashing light (optional audible alarm) that’s designed to grab the attention anytime pressure is rising too high or falling too low in a system. Preventing and fixing issues before they cause significant downtime! notify using the light only or the light and audio. Built with a field adjustable pressure switch, this model can be set directly by the user with a range of 1-125 PSI. 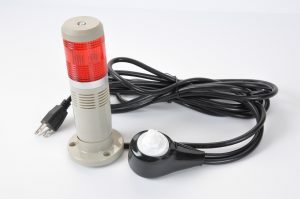 It can monitor pressure rise or fall at a the user’s set point using the stacklight to notify light only, light and audible alarm or mobile alerts. A bright light will flash notifying you the moment pressure falls or rises too high grabbing the attention of qualified personnel. Prevent and fix issues before they cause downtime by using this simple notification solution! A bright light and loud alarm will notify you the moment pressure falls or rises too high. It will grab the attention of qualified personnel preventing significant downtime. 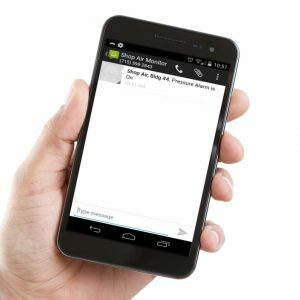 Receive a text or email as soon as pressure is lost in a system. Qualified personnel can then take care of issues as soon as they happen. To learn more about Presair’s Pressure Monitoring solutions visit our online store, or contact us about other monitoring solutions we offer!